I’m currently working on SWIFT v3.0.0, you can check it in action at GeniusHackers.Com. I would like to have your valuable suggestions and feedback to make it the best. Let us together make premium quality themes available for free. Cleaner code, customization will be more easy now. Swift v.2.1.4 has post content width of 620 pixels, It’s too wide to for easy reading, so reduced it to 580 pixels in v.3.0.0. This also gives more room for sidebar. Switches to minimal mode with a single click. Option to add adsense ad at the end of post. Widgetised banner ads, now you can choose where you want your banners to appear. Page navigation integration in SWIFT. Clean and fancy comment styling to match the overall scheme. There is a handy post thumbnail plugin, I’m trying to integrate it in SWIFT. Not sure if I can make it. May add tool tips feature. Note: GH is not using the default colour scheme. Previous Post« Previous Upcoming features in SWIFT, need your feedback. I have installed swift v3.0.0. ,but when I try to export/import,it is not working properly,but import work fine in 2.5.1 .Can you please help me. Having trouble readjusting Web site title. “The Politics of the Workplace” looks squeezed together. Anyway to spread it out evenly. Also, second article on the home page, shows incorrect image and teaser. What to do? I enabled “Popular post” and checked to “Display excerpts on homepage” in Swift Options but no post is showed in Popular post. There should be any problem. Please check again. Paragraph spacing in this comment box may be reduced [one enter gives a lot of space!]. I noticed that, but was little lazy to add it to my todo list. Had noticed some spelling errors here and there [including in the customize option in the theme]. Forgot to note them. May tell you later. Thanks for checking my blogs and for offering help with my spellings 🙂 . 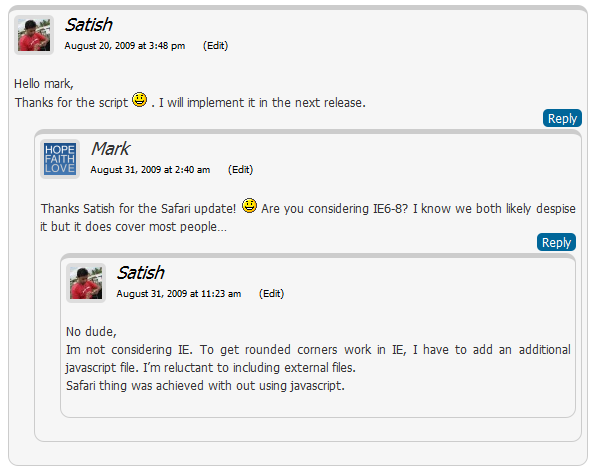 LOL Satish, there are many grammatical errors in this reply you wrote! But it’s all right. You are a genius hacker just the same. Check out ‘after the deadline.’ You may find it more useful. Have heard lots about it. And WP.com recently bought it and integrated it in the editor impressed by the unparalleled spell checking capabilities. Even I heard of it, should find some time to check it out. I had noticed the the error(s); there are two mistakes actually. But I did not write about them [nitpicking attitude is not a good thing you know]. Another suggestion [you may have noted it already though]. 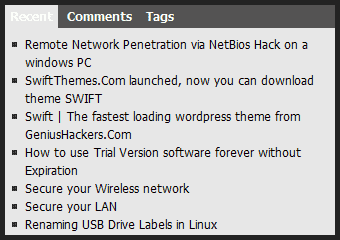 I saw on http://techgenuine.com/ that when showing the number of posts in archives are enabled, the numbers go to the bottom of the month [I guess that may be true for categories as well]. I thought I fixed that, I’m not sure in which version this crept in. Without you i wouldnt have noticed that, thanks for pointing out. In future versions, If you can put the option to increase font size while viewing the page [A, A+, A++] that some themes have, it will be great! Thanks. Also, show subcategories as drop down when touched in the navigation below header logo in future versions. And the header title be slightly bold [and not italics] by default. It will be helpful for those who do not want to put a logo image. Please write the name while replying. Here it is easy to understand because it is nested reply but I usually follow comments in the mail box and it helps if it is addressed to you. A small thing that skips our attention! I can’t choose the Featured Slider. It’s only show the new posts. I use Swift 3.0.5 and WP 2.8.4. Cool, that fix will be added in the next version . It’s better if your theme show which comment written by admin ^^ it may be different from other comments. I will implement that in the next version. So, This is said to be the golden shot but The swift version 3.0.0 is a complete one meeting all the major & minor requirement a theme must meet. More improvements,,, I don’t think so. New theme is awesome. I think tags are not required in theme. I don’t want to share what exact tag, i am using. Now this is called major update.. I really like the new version and waiting for its final release..
BTW i use your template @ foolblogger.com, i wanna use this theme on my other blogs, can you plase let me download version 3 ? It’s still a work in progress, not all features mentioned above are included. I will try my best to release it by monday.